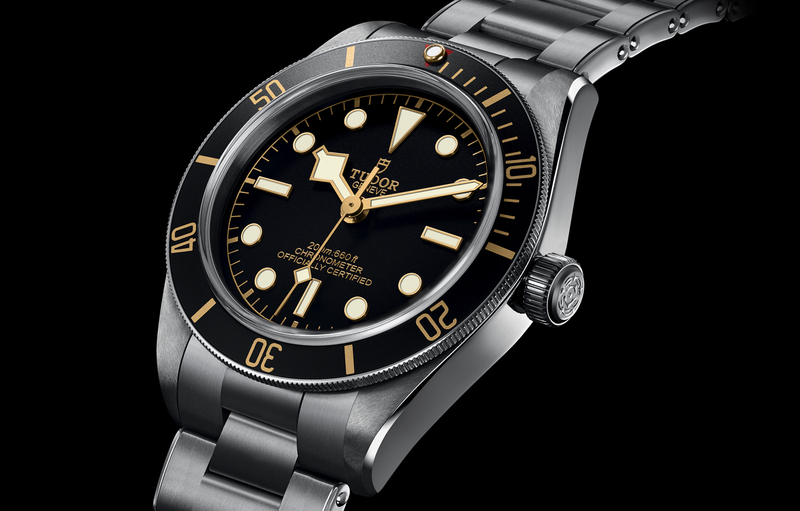 After many requests for a Black Bay or Pelagos GMT over the years, Tudor has finally delivered with the debut of the all-new Black Bay GMT at Baselworld. 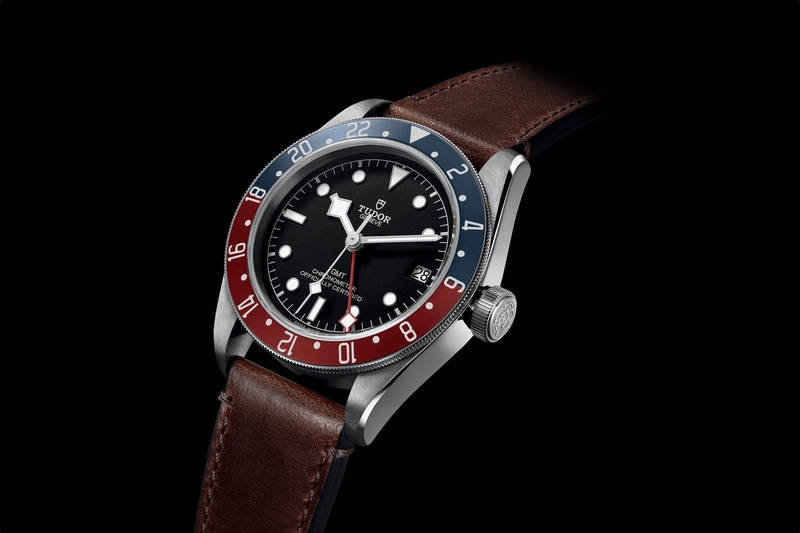 Based on the company’s best selling Black Bay line, the new GMT is housed in the same 41 mm diameter steel case used for the majority of the collection. 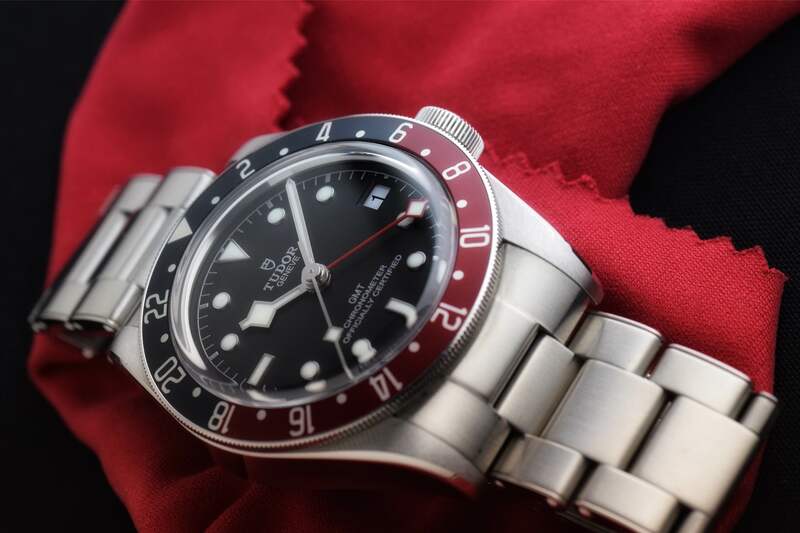 The dial and hands are essentially the same as other Black Bays but now with the addition of a red snowflake-tipped GMT hand that sweeps the dial every 24-hours and allows you to read the home time (reference time), along with the local time via the central hour hand, which is a quick set (meaning the hand jumps in one-hour increments). And when used with the matte burgundy (daytime) and blue (nighttime) day/night rotating bezel, a third time zone can even be tracked. The GMT is driven by a new module that has been added to the in-house caliber MT5612 found in three-hand Black Bays. The resulting movement is called caliber MT5652 which measures the same 31.8 mm diameter as the base caliber but is 1.02 mm thicker due to the GMT module. This new movement also has two extra jewels for a total of 28. Power reserve is maintained at 70-hours despite the increased functionality. Water-resistance is 200 meters. The crown tube is in satin-brushed, as opposed to a colored anodized aluminum as seen on previous Black Bays. The industrial movement finishing, done all by machine, includes an openwork rotor that is satin-brushed, with sand-blasted bridges, and a mainplate with alternate polished sand-blasted surfaces and laser decorations. Critically the movement is COSC-certified accurate with a variable inertia balance wheel, non-magnetic silicon balance spring, a robust traversing balance bridge, which all make for a watch that is optimized for rugged use. (Ref. 79830RB) The retail price on either the leather or textile strap is $3,575 and $3,900 on the riveted steel bracelet. 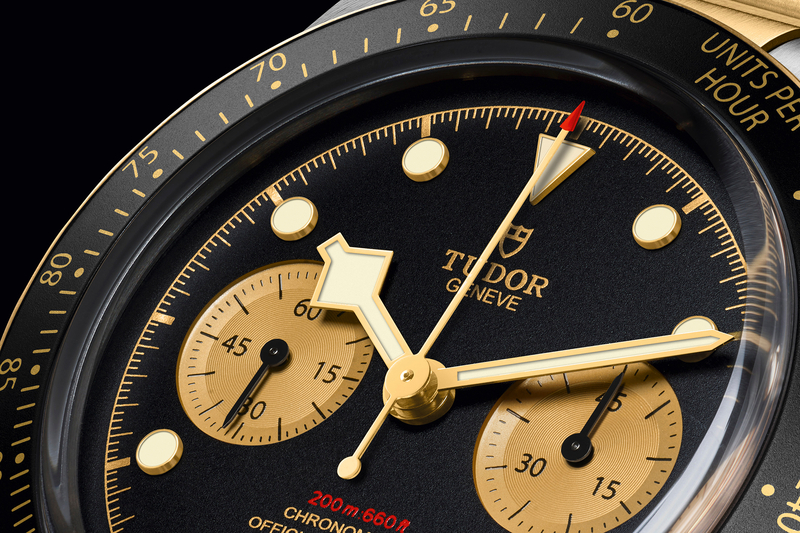 Learn more at Tudor.